Video Blog #2 – Need an implant? 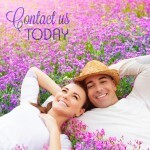 Contact us TODAY to schedule your FREE CONSULTATION ! If left untreated, these gaps in your smile can lead to future problems that you may not be aware of. Dental implants have enhanced the quality of life for millions of people throughout the world, improving overall health and well being and restoring the confidence that comes from a natural smile and appearance. This “state-of-the-art” dental technology makes it possible to restore the mouth as closely as possible to its natural state and eliminate the need to cut down adjacent teeth for bridgework.